But I do really, really, really love them. Maybe it’s because they are delicious! Or maybe it is just ‘cos they are mostly free. 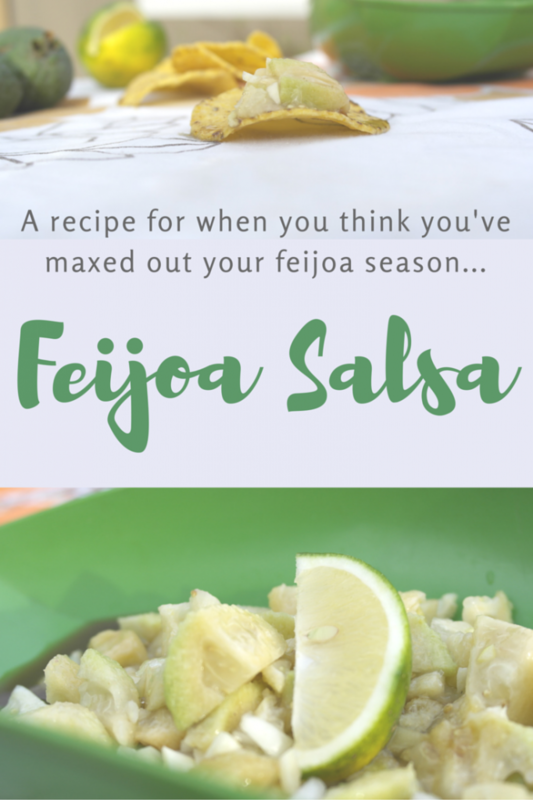 For 2 months of the year people are basically shoving bags of feijoas at each other. They are given away free in shops. They are blanketed under your feet in almost every garden. WOO! GIVE IT UP FOR FREE STUFF! We have found an epic tree in my local town. The feijoas are as big as my kid’s head. Anyway, the other day I was stuffing my face with feijoas and eating a bag of nachos simultaneously. It started off like my mains and pudding but I was so hungry that I just kind of ripped into both, creating, completely accidentally A TASTE SENSATION! It was amazing. 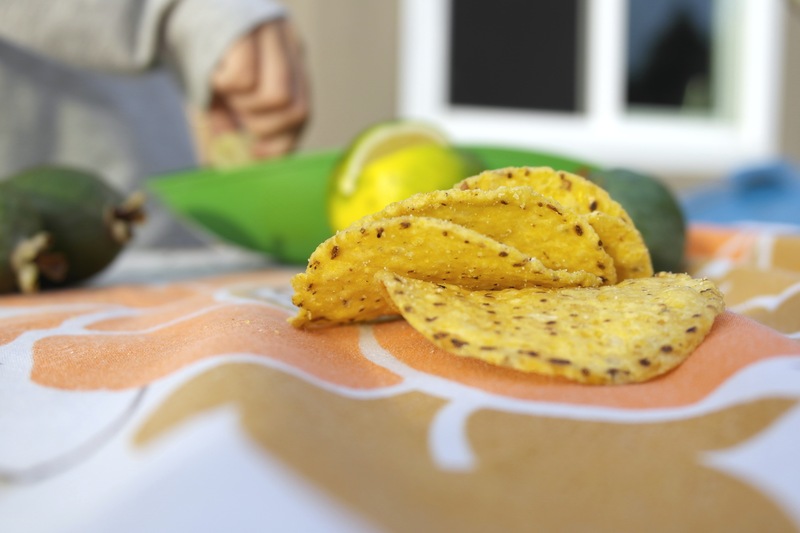 The nachos and the feijoa. Like heaven in my mouth. Or mexico. When you discover feijoas originate from South America suddenly everything in life makes sense! I called the kids over. YOU HAVE GOT TO TRY THIS. So I knew I had to take it to the next level and actually make salsa. 10 feijoas, chopped into small bits. Half a small onion, chopped into tiny weeny bits. Mix all together and serve with nachos. Or these super tasty thrifty fishcakes. Just so you know, the girls still weren’t into it. They nodded and smiled at what they saw as my pathetic culinary enthusiasm. Which was good cos I got to eat another bag of nachos and another 17 feijoas all by myself. 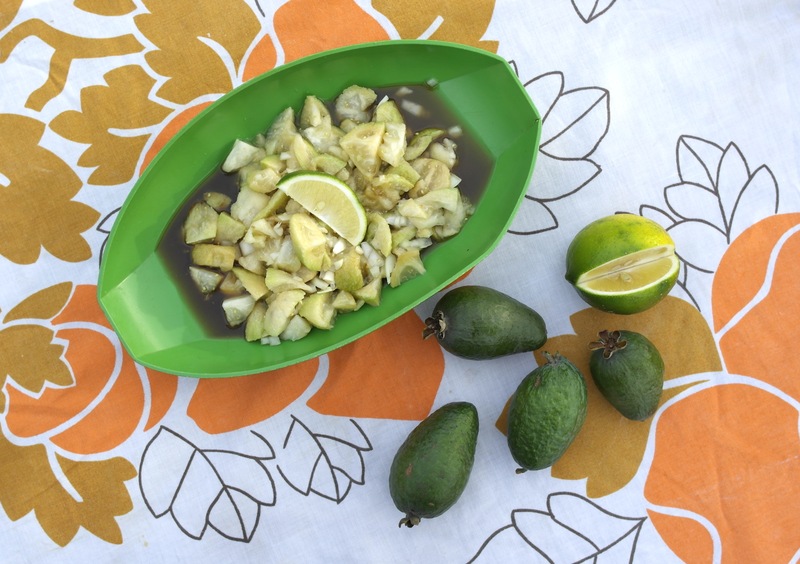 Would love to hear your favourite feijoa recipes!